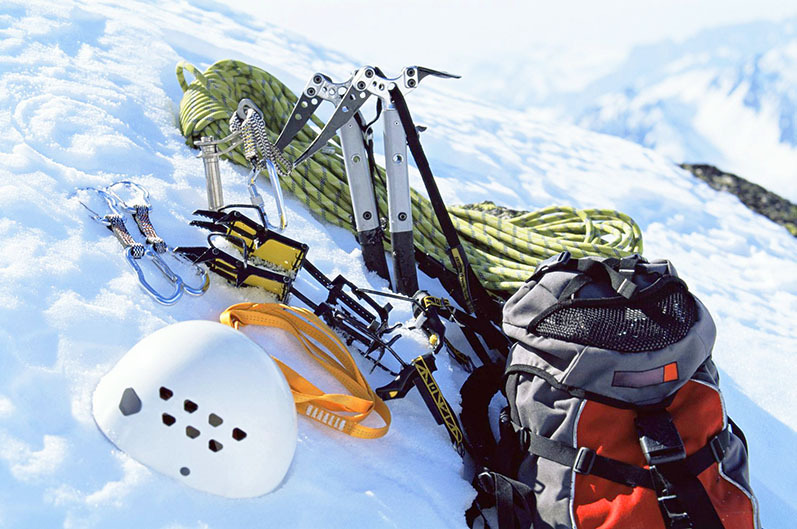 Mountaineering is one of the most difficult and dangerous human activities. But the ability to conquer highest mountain peaks of the planet is not only determined by the level of physical training: the ability to make reasonable and carefully weighed decisions in extreme situations is of equal importance. We talked about this with Denis Urubko, the first mountain-climber from the former Soviet Union who conquered all 14 eight-thousanders in the world. High-altitude mountaineer, International Master of Sports. The fifteenth mountain-climber in the world who ascended all 14 eight-thousanders in the world – the peaks that are higher than eight thousand meters. He is also the eighth mountaineer ever who achieved that without additional oxygen and the record-breaker for the fastest conquering of these 14 peaks – he did it within only 9 years (2000 – 2009). In total Denis has completed 21 ascents of eight-thousanders, opening new routes on 5 of them – Manaslu, Broad Peak, Cho Oyu, Makalu and Gasherbrum II (on the latter two – in winter). Urubko was born in Nevinnomysk (USSR). From 1993 to 2012 he lived in Almaty (Kazakhstan). At present he lives and practices in Italy, he has both Russian and Polish citizenship. In 2009 he was awarded the mountaineering "oscar" – the Eiger Award – for the first winter ascent of Makalu (8485 m) in history. For ascending the South-East wall of Cho Oyu (8201 m) in 2010 together with Boris Dedeshko he was awarded the Piolet d'Or – a high-class international award annually given by French magazine ‘Montagnes’ for outstanding achievements in mountaineering. In 2012 for the first winter climb of Gasherbrum II (8034 m) he was awarded the Golden Piton – an honorary award from ‘Climbing Magazine’ (USA). – Denis, what is mountaineering for you, and how did it begin in your life? I began doing mountain-climbing as a type of tourism. It was exciting for me to challenge myself and at the same time to discover something new. Gradually tourism grew into a sports activity – I began practicing a lot and achieved good results by winning many competitions. At first this brought me positive emotions but eventually I grew tired of victories. I started thinking about why I was doing this, started looking for a means of self-expression. And finally high-altitude mountaineering became such a means for me. As my good friend artist Andrei Starkov likes to say, sports is when you run in the same direction with others and try to be the best, but there is always an option of running in a totally different direction, and then you will always be the best. This is why with each of my climbs I try to fulfill my potential in a way that probably nobody else could in similar conditions. The new route on Broad Peak, the new line on Cho Oyu or participation in speed climbing of Mount Elbrus – I paint my own picture out of all that and show it to people – I write stories and poetry, make films, keep a blog. Telling people about what happens in sports has transformed into an art form for me, maybe even into some sort of philosophy. – Speaking about skills of a mountaineer... Which ones are the most important? Mountaineering is a very dangerous sport. Mountains are not a stadium, where an athlete can be provided with medical assistance at any time. Up in the mountains you risk your life. Of course, any extreme sport is dangerous, but in mountaineering these risk bounds can be experienced in the sharpest possible way. In the mountains it is very important to make decisions for yourself, because you do not go there for someone else, not for your mommy or your daddy or some random guy from the street – you only go there for yourself. This is your conscious choice, by making which you will have to exhibit a lot of patience to achieve the exact level of training that will allow you to climb mountains. During even relatively low climbs (3.5 to 4 thousand meters) athletes with insufficient practice can experience serious health problems. Physical and psychological training takes a lot of time. Let's say, even a well-trained high-altitude mountaineer, to achieve a good level of rock climbing (technical climbing), will have to spend six months to one year training like a monkey. 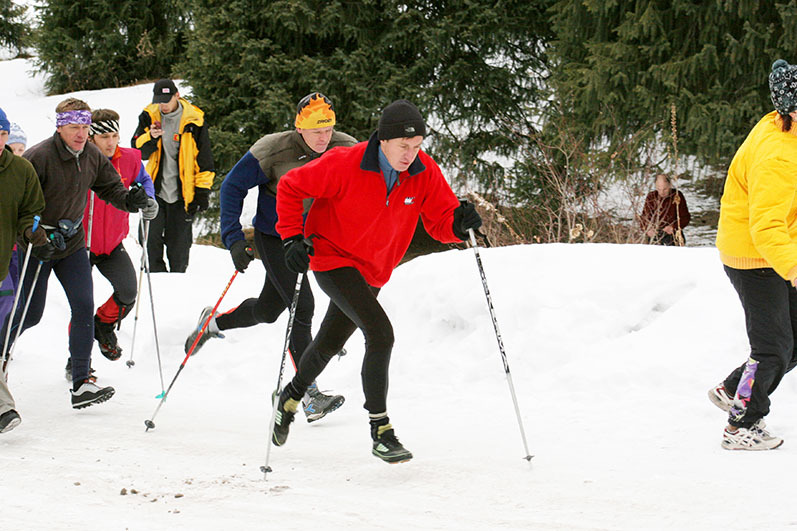 To learn to run very fast across steep slopes (and this is a completely different physical condition) you have to change your practice system and spend the next year training like a horse. For instance, right now I spend a lot of time practicing on rocks, so at the moment I am not prepared to climb high altitudes – these are radically dissimilar training systems. 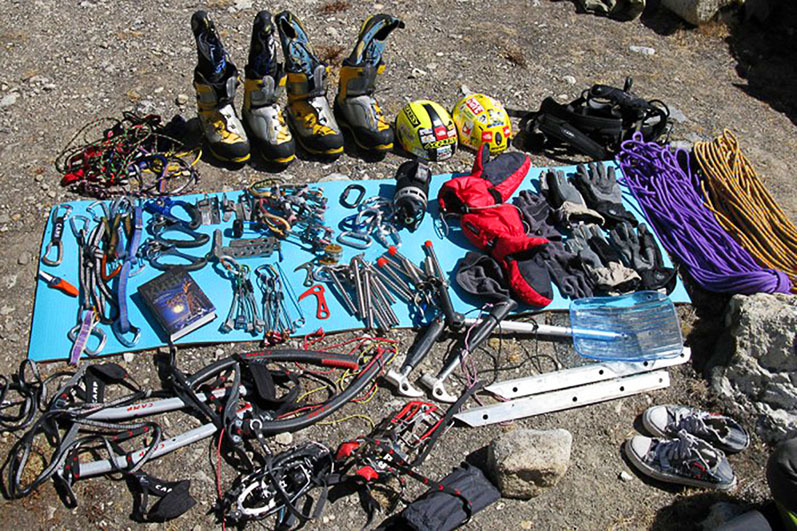 Of course, you can also be a versatile athlete like Ueli Steck – a remarkable rock climber and mountaineer who is very well trained functionally. But versatility always implies some degree of dissimulation, because with that you will never achieve as much as you could if you concentrated on a single type of activity. On the other hand, mountaineering is an intellectual game in which many things can be foreseen. Just like in real life: if you are walking past a construction site you know about a theoretical possibility of a brick falling on your head. And if you want to avoid that you can steer clear of that place or at least put on a hard hat. And the same goes for mountain climbing: if you are moving under a slope in winter-time you can get under an avalanche. Knowing that and possessing the necessary experience you can work out a safe solution. Sometimes there are many risks at once: if you move slowly, you will have to spend more time at a high altitude, which means there is a risk of a freeze burn; but if you try to speed your way through you may provoke an avalanche. Of course, when performing difficult climbs a lot depends on simple luck, and all we have to do is accept this as the rule of the game. In two absolutely similar situations a rock can hit your head or fly down 10 cm from you. There are also unpredictable situations, such as: a team member falling ill or a drastic change of the weather conditions. It also happens so that a route segment that seems to be one from the bottom of the mountain turns out to be very different when you reach it. One of my friends once told me a story of how, when climbing the South wall of the Engels Peak, he noticed a snowy patch suitable for a bivouac shelter, but when he approached it he realized it was actually just a hanging snow cornice with a fringe of icicles underneath it. Such mistakes can cost a person their life. – Mountaineering often gets compared to space travel: both involve long distances from the ground and commensurable degrees of risk. However, if the first space travels implied conscious preparedness of the spacemen to die, now priority is given to their guaranteed return to the Earth. Has there been a similar transformation for mountaineering? The thing is, in mountaineering, as opposed to space travel or, for instance, military operations, the risk is quite meaningless. 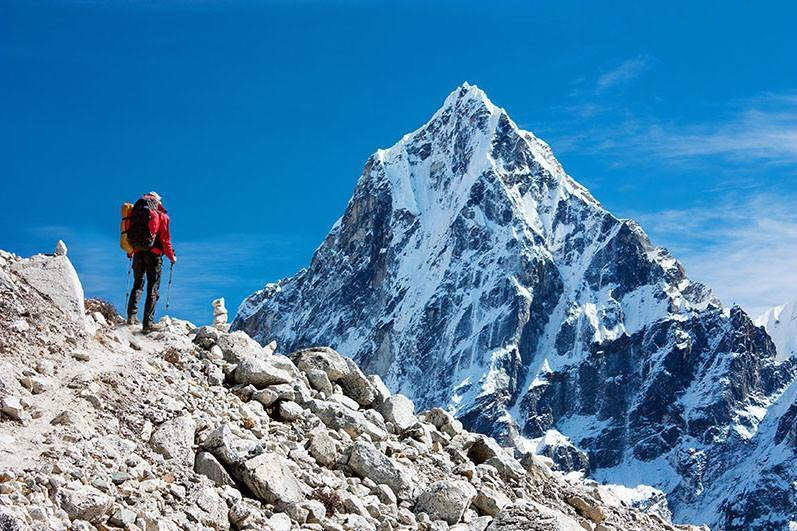 Mountaineering is a vanity game for your own sake, whose only goal is achieving an absolutely senseless result – reaching the summit of a mountain. This is of no use to humanity. On the other hand, spacemen or, for instance, miners risk their lives for something useful. And it is something that’s very important to understand. As for the safety, the first ever ascents were indeed extremely risky. Unexplored peaks, unfooted routes, absence of reliable equipment. Now, when we have the most state-of-the-art gear, the highest level of training and vast experience, our main task is to simply minimize the risks and foresee everything that can possibly be foreseen. 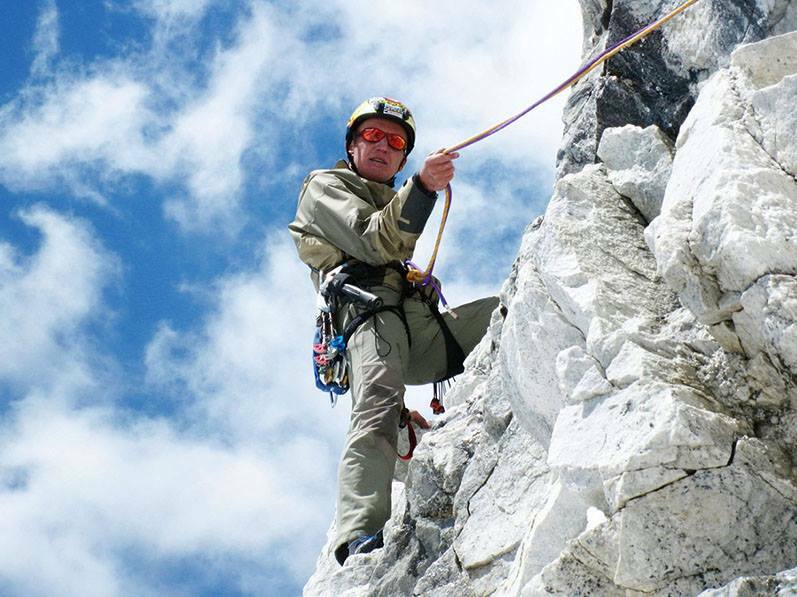 A very helpful thing personally for me is my coaching work – thanks to working with the young generation I can always envisage what may happen at a certain moment to every participant of the climb, thus I am able to control the whole process and calculate the situation 2-3 steps ahead. A mountaineer must clearly understand what can happen in any given situation. The rule is very simple: I must not risk anything, and nobody must risk anything because of me. – If something does not go the way it was planned, and you have to make a decision instantaneously, how does this usually happen? Based on your intuition, experience or anything else? Intuition is actually experience applied to certain circumstances, to whatever is happening right here and now. And that is exactly why a person who has the necessary experience and knowledge and can see the situation clearly is able to make an instantaneous decision. One of the books by Soviet writer Victor Konetsky has the following scene: in the middle of the night the captain of a ship comes running to the navigation bridge and shouts: "Why are we going at slow speed? Cut into full speed immediately." A week after the exact opposite of this situation happens: "Why are we going at full speed? Cut into slowest speed now." And the two situations are absolutely the same, so to an onlooker the captain's actions would seem inconsistent, to put it mildly. But, based on his own evaluation of what is happening and the smallest factors noticeable to him alone, he is able to make an important decision and take responsibility for it. It is the same in mountaineering. By way of example, let me compare two of my climbs. During a K2 climb in winter-time, having woken up in the 4th camp at the height of 8 thousand meters, I noticed that the condition of my partner had become dysfunctional. It was clear that he was suffering and that he could die, so we had to climb down. The second situation is as follows: when climbing Mont Blanc with a group of young mountaineers one of them got suddenly unwell as early as at the ridge before the peak. I came up to him and understood that the situation was slightly different in this case, in spite of there being no seeming difference for an inexperienced person who would probably think that the group must descend. But up there at Mont Blanc I understood that this person was just too nervous, so his psychological condition influenced his physical condition. We resumed our climb, and this decision turned out to be justified – the expedition was completed successfully. At K2, falling just a little short of the final point, we interrupted our ascent. And that was justified as well. It may sound too self-assured, but in the course of time I developed some sort of an internal sense of being right when making a decision at any given moment. Fortunately, in the past 15-20 years these decisions have always paid off. Besides, I was lucky that my partners in my climbs – Sergey Samoilov, Gennady Durov, Boris Dedeshko – trusted me completely. Of course, this trust put a lot of responsibility on me – I risked both for myself and for my friend. At the same time this allowed me to find the golden mean, to make the right decision at every instance. A very frightening situation happened in 2011 when we were climbing Jengish Chokusu with Gena Durov. We moved along an avalanche-prone slope and when the snowfall struck we realized we had to go back – continuing the ascent was too dangerous. But early in the morning in a matter of half an hour the temperature fell down drastically, and I understood that the weather was changing and it was now favorable for continuing our journey. So we went on and completed that route. The same thing happened when we climbed Korona Peak with Boris Dedeshko and Alexey Pototsky. Everything was against us ascending that mountain. But I made the decision that we should continue the climb, and it turned out successful. There were opposite cases, too. When I and Boris were following the new route to Baychechekey the situation was excellent. But I decided we should stop, so we went back. But here is an ironic thing: when I followed the decisions of other people who may have not trusted me completely, difficulties would emerge immediately. For instance, we were once climbing Nanga Parbat with Simone Moro. I knew exactly we would do it. But Simone decided to back off the expedition and return. In my opinion, there was no danger for us there. I had prepared for a long time for that project, I had practiced for a whole year, I had talked very little to my family and friends, had not tried to earn money, had tightened my belt, so to speak. And the result of it was closing up the expedition. Another time I followed someone else's decision was at the beginning of my 2013 Mount Everest climb, and my friend Alexey Bolotov died then. – Is it more difficult to climb mountains alone or in a team? Every coin has two sides. Times have changed – each of us became more independent, every one of us has a home, a car, an Internet access. This is why it became very difficult for people to make arrangements and this is why these days it is hard to find a practice partner or a climb partner. Back in the day, when we had to live in shared apartments, use public buses and travel a 10 km distance to do our shopping, we could also make arrangements and come to agreements. Today many people prefer climbing by themselves, and it may indeed be easier. But, of course, a collective expedition opens up more possibilities. 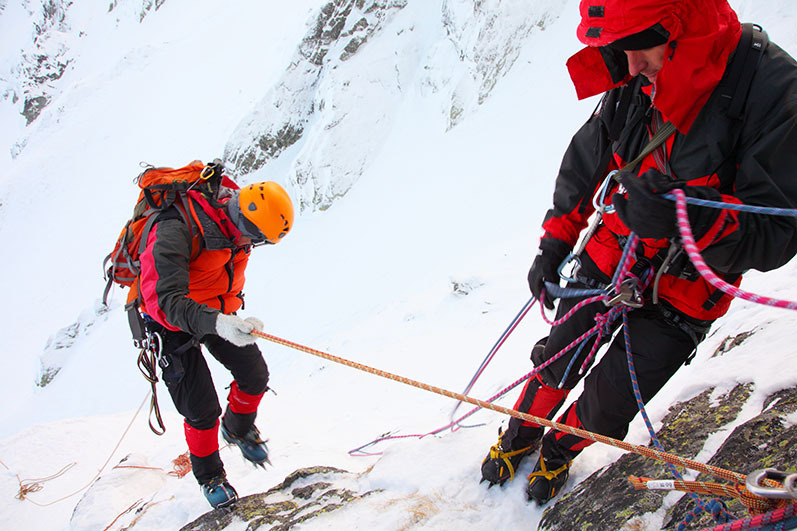 For instance, in 2011 me and Borish Dedeshko were able to climb a remarkable route along the wall of Przhevalsky Peak only because we acted as two hands of a single person. We worked intuitively and were quick to understand each other. But we are true friends, and true friends always find common ground. Each of us knew what the other one would do, how he would act at any instance, and this is why we achieved an outstanding result – you can never do as good as that solo. – Were there any decisions in your career which you subsequently regretted about? Yes, one such decision was made in 1995. We set out to climb after a heavy snowfall, intending to make our way through the route on the off chance. This decision was influenced by psychological pressure we were under – people from outside were saying: "Aha, are you scared? Did you chicken out and decided to stay?" And I followed someone else's judgment and led my team to the climb in a very risky and dangerous situation. The result of that was an avalanche, several injuries and a few broken lives. It all ended very badly. Since that time I have never followed another person's opinion. – Reporting on people dying in the mountains, the media often give this reason: someone just passed by and did not care enough to help. Is that so? Imagine that you are going to come up to your window right now and jump from the 9th floor. And the papers are going to comment on this: "Oh, everyone around are very bad people, they did not withhold the guy from doing this terrible thing." Of course, this is a grotesque example, and in fact everybody knows that people will do everything to prevent the disaster. But this example also shows that morals are not always unambiguous. A person who decided to climb a mountain and got frozen there, made his conscious choice. He went there unprepared thus making the others sacrifice the expedition or sometimes even their lives. He did an irresponsible thing and this is why he has no right to expect responsible attitude to himself from the others. He simply has no right for that. Of course, it’s great if his partners can help him to climb down. When a mountaineer clearly demonstrates that he needs help, there certainly will be people around ready to lend a hand. When I helped people in trouble at altitudes over 8 thousand meters, I risked my sporting achievement, I risked my health and I risked my life, but that was my personal choice. Other people who chose not to risk their lives by helping some irresponsible person climb down the slope, were also right in their own way. Up in the mountains you can never judge anybody. There have been a lot of occurrences of someone dying – freezing or just getting lost – when trying to help others. – But I know you interrupted your climbs more than once to rescue other mountaineers. How difficult were those decisions? Did you understand at once they would put an end to your ascent, which meant that all the time and resources (including financial ones) had been spent in vain? Or were you always sure that you would have enough strength left to come back and conquer the peak? Of course, I was never sure I would have enough strength left to continue. In those situations I just acted the way I had been brought up. The Soviet mountaineering school had a golden rule: the first thing you must do is help your partner or any person who is in distress. This is why I never had any doubts about what I had to do. If after the rescue operation I still had enough health and strength, then I usually completed my climb, but this was only possible due to extensive training. I have been helped by others too, and more than once. For instance, my friends helped me to climb down from the Russian Geographical Society Glacier. I had to cease my ascend due to my own mistake then, due to making a wrong step out of the blue. So other people had to risk their lives for me to rectify the situation. But my life was saved, and I always do the same to other people too. – Are emotions common to mountaineers? Do you think they are useful or harmful? When Usain Bolt sets another world record, he experiences a ton of positive emotions. And he is not much different in that from a mountaineer who has just reached the top. But a lot here depends on a specific case. For instance, in 2003 I had to climb down Broad Peak with Jean-Christophe. I interrupted my climb to help him to descend. But only a day after I conquered that peak alone, and I felt like I had wings and was flying. Adrenaline was pumping in my veins, and I was overwhelmed emotionally. I knew the climb was safe and under control, it felt amazing. 2 years later we climbed Broad Peak again, but using a new route. This time I had zero emotions. The situation was the polar opposite of the previous climb. This time it was very difficult and we could not afford to let loose. We barely found a safe way down. It was the same peak, only in 2 years, but in the first case there were a lot of emotions, and in the second one there was none at all. In critical situations emotions are a hindrance. In my career there were cases when a mountaineer, overwhelmed by emotions, would begin acting inappropriately, and this would often jeopardize the whole climb as well as the safety of the group I was responsible for. That is why such emotions need to be controlled or even stifled. I only gained control over my emotions over the course of time, in about 5-7 years after I began my career. But in fact emotions are exactly what we all live for: we strive for achievements, earn money and have kids because of that. That is why you can't deprive yourself of emotions, but you need to know what time and place is appropriate for them. I can experience or not experience emotions during the climb, but afterwards, sitting in front of a computer editing a film or writing a story about the expedition, I can experience them once again. And at that moment I am able to look at these emotions in a different light, to understand why that ascent was necessary in the first place. Remember what Eeyore from that Soviet Winnie-the-Pooh cartoon used to say: "What is the conclusion to be drawn from that?" – Did it ever happen that a decision was made by someone else and you disagreed with it; and the group returned but you continued the climb? The opposite of that once happened – in winter, when we were ascending Lenin Peak. I was not the team leader, but in athletic terms I was the strongest. All of us were exhausted but on the last day we needed to reach the top. We were passing by a fractured zone where we had to be tied together with a rope, so I made a suggestion to the team leader: "Let me make a speed jolt to the summit – the situation is difficult and risky but I still have strength." As a climb is usually considered successful if at least one of the participants has reached the top, the leader gave me a positive answer: "Yes, Denis, go and we will spot you and meet you when you descend; we'll help you to climb down along the fractured zone and we'll go down to the camp together." I made the jolt but when I was going down along the ridge I met the group and learned that they had decided to continue the climb to the top, in spite of having no time left to come back before the dawn. For me that meant that I had to pass the fractures on ice alone. It was a great risk which the group had no right to expose me to. And waiting for them at the temperature of -50 °C was not an option either. It all ended with a tragedy: it was already dark when they were coming back, and one person died. – If only one person reaches the summit, then the other participants must probably feel not completely satisfied with the success? It's different every time. During John Hunt's 1953 expedition to Mount Everest only 2 people reached the top, but it happened thanks to the hard work of the whole team. Each of those people – Wilfrid Noyce, Tom Bourdillon, Charles Evans – would have loved to reach the top, but they were happy and satisfied by the team's result. In 2014 we climbed Kangchenjunga as a team, but it was only me alone who could ascend the summit. And when we came back home to Kathmandu, the other participants of the climb were much happier than I was. In fact, I was very discontented. My task as the team leader was to ensure that not just me but all the participants would reach the top. Especially since I already had ascended that summit in 2002. The climb itself was not very important for me; I was more interested in the team's success. 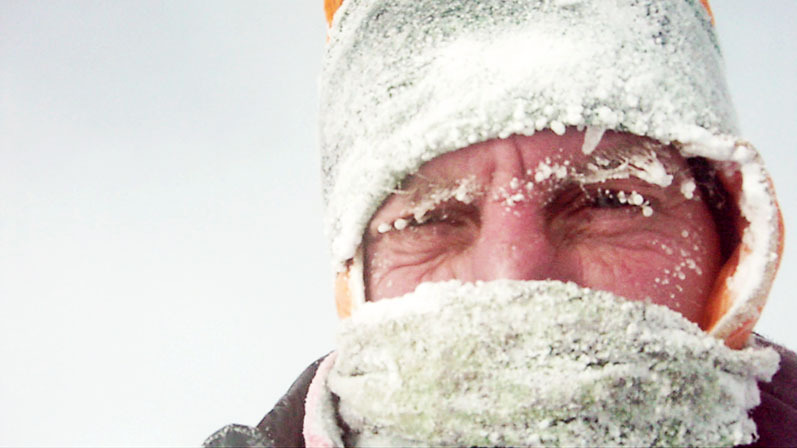 – Can you name the most difficult expeditions you ever participated in? There were a lot of difficult expeditions, but they were all difficult in different ways. Not being able to come to understanding with the partner is one thing, having to retreat within a stone's throw from the summit is another. The most important route that largely defined my further career was probably the 2000 Khan Tengri climb. There we paved a new route and it was that climb that made me understand that it is this technique that I enjoy the most. The most ambitious and reckless climb was the one we made along the South wall of Broad Peak with Sergey Samoilov in alpine style. 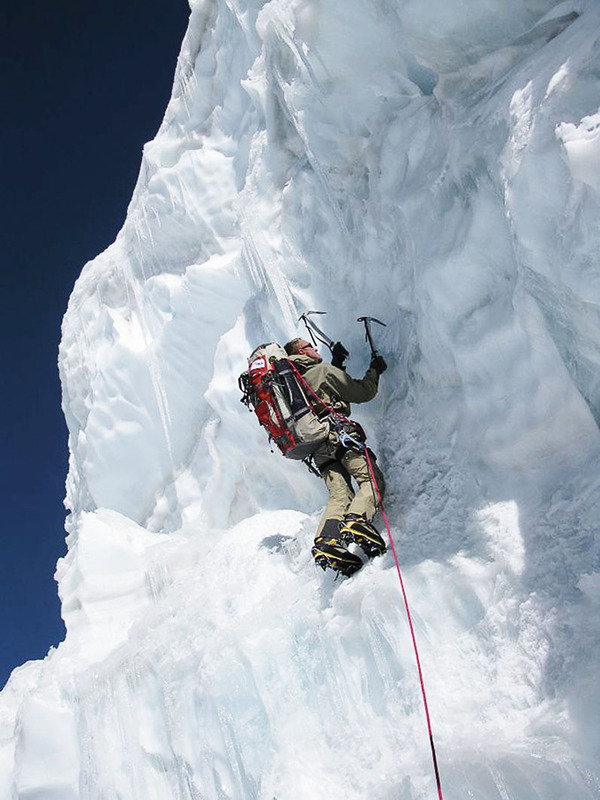 The most dangerous and risky expedition was the Cho Oyu climb. We were ascending with Boris Dedeshko, and I made the decision to continue the climb in spite of the fact that it was highly possible we would never come back. It was intuition, just like I said – experience applied to the immediate situation. In the end we completed our climb and safely descended to the ground. The decision was very difficult but not forced. Then there was a winter Makalu climb – a real leap in the dark. Me and Simone surpassed the 7400 meters mark – anyone who had climbed higher than that had died. So we did not have any understanding of the situation and had no idea what to do next. It was like moving toward a chasm with a blindfold. The weather conditions were bad, strong wind was blowing. We were walking on hard ice – that is how windy it was there. We had to move very fast, we almost ran. Great French mountaineer Gaston Rébuffat used to say: "My safety is based on my excellent individual skills." In this case Simone and me had very good individual skills, and both of us were well-prepared. There were a lot of risky situations, but we were able to cope with them. Even when a snow cornice fell down on our way we managed to dodge it. – How do you envisage the next 10-20 years of your life: do you think something will change? In terms of your understanding of mountaineering, or your work with the young generation maybe? Only a granite wall doesn't change. A human, on the other hand, is a dynamic being. For us, changing is life. Every day brings us new challenges and opportunities. We can pursue them, but for that we must not put ourselves into a frame or limit ourselves by a certain track. We need to take a wider look at things and see what new things we can do at every moment. Right now I intend to do some sport climbing, which is very popular in Europe at the moment. I think, doing a lot of high altitude mountaineering, I completely missed out on sport climbing. It also is a relatively safe adventure: all routes are already paved, stationary rock pitons and grapples are already placed here and there. This sport requires strong physical and emotional focus, but it also brings a lot of positive emotions. My short-range plans also include publishing 2 books in Italy and 2-3 books in Poland. I am also going to continue working with young climbers – coach them, prepare them to make their first high-altitude ascents. I never force anyone to climb mountains, because it is really very dangerous and I know what price can be paid for this hobby. But if someone really wants to do that, they can come to me and say: "Denis, please teach me how to climb, and how to climb safely." And I will do my best to help that person.